Fresh off of Catholic Schools Week, we should all be feeling great about our schools. Before that great feeling wears off, remember that Catholic Schools can tend to become isolating. We all subscribe to a certain degree to the principle of subsidiarity—meaning that as many decisions should be made at the local level. We all celebrate our agility and faithfulness to our own communities and cultures. But in so doing, we risk isolating our teachers and principals on lonely islands. One possible solution is the NCEA Convention. By far the best thing that NCEA produces every year, this gathering of 10k Catholic educators is a chance to celebrate, develop new connections, and learn in solidarity with fellow Catholic educators all around the country. Now is the time to make the commitment to the convention in Chicago April 23-25. There’s a great lineup of speakers, exhibitors, and liturgy to feed your brain and your soul. 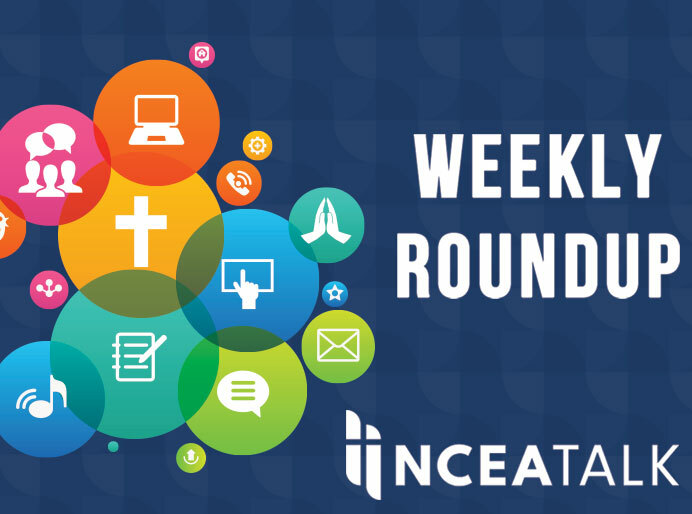 On Wednesday’s podcast, I spotlight one NCEA leader (Matt Russell) who offers a convention overview, two great presenters (Roy Petitfils and Mike Patin) who are both well-travelled Catholic speakers and inspiring models of faith, and the keynote speaker, Dr. Ann Garrido, the professor of homiletics (!) and author of several well-known books such as Redeeming Administration. The list of great speakers is amazing: Jodee Blanco, Sr. Nancy Usselman, Ken Willers, Jennifer Trefelner, John Meehan, Mary Pat Donoghue, the incomparable Lincoln Snyder, and many more. I hope you consider making the trip to convention and encouraging others to attend, too. It’s a chance to continue the momentum of Catholic Schools Week and join your fellow educators in solidarity. Here’s the link to the convention web page. 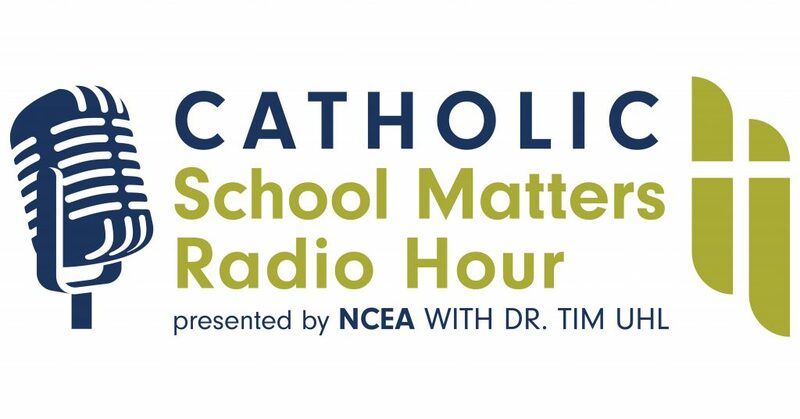 On this week’s Catholic School Matters Radio Hour podcast, I am previewing the NCEA Convention April 23-25. First, Matt Russell gives an overview of the convention. Then author, podcaster, and speaker Roy Petitfils previews his two talks and describes his work. Mike Patin then describes his two presentations as well as his ministry. Dr. Ann Garrido, the keynote speaker at Convention, discusses the messages she hopes to convey to Catholic educators and explains her fervent quest to see all 50 states before she is 50 (among other things! ).